to go back in the water barn …..da dum da dum.. Fess up, folks. Who remembers the movie and who refused to go in the water for months after? 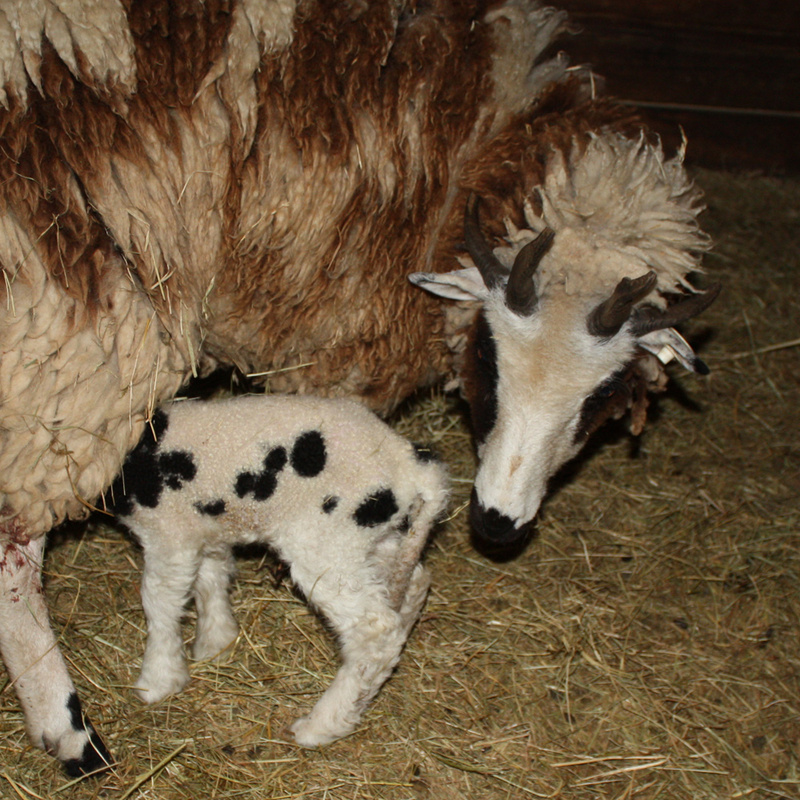 Marabelle decided to stretch the lambing season out with one more lamb. Marabelle left here as a lamb last year and returned home a couple weeks ago. 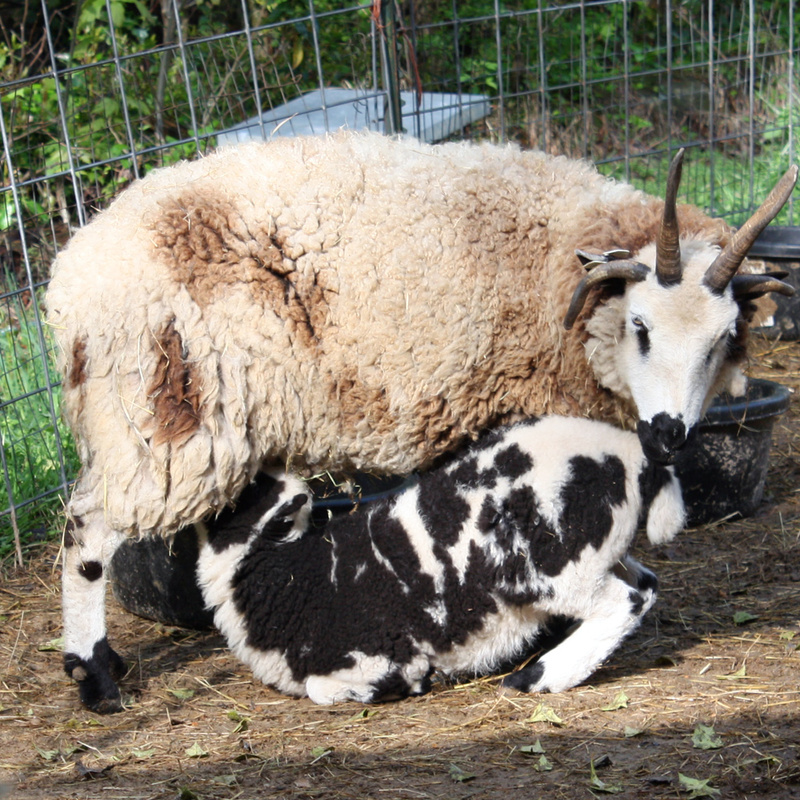 Marabelle is a yearling, but had no problem figuring out her mothering duties.. 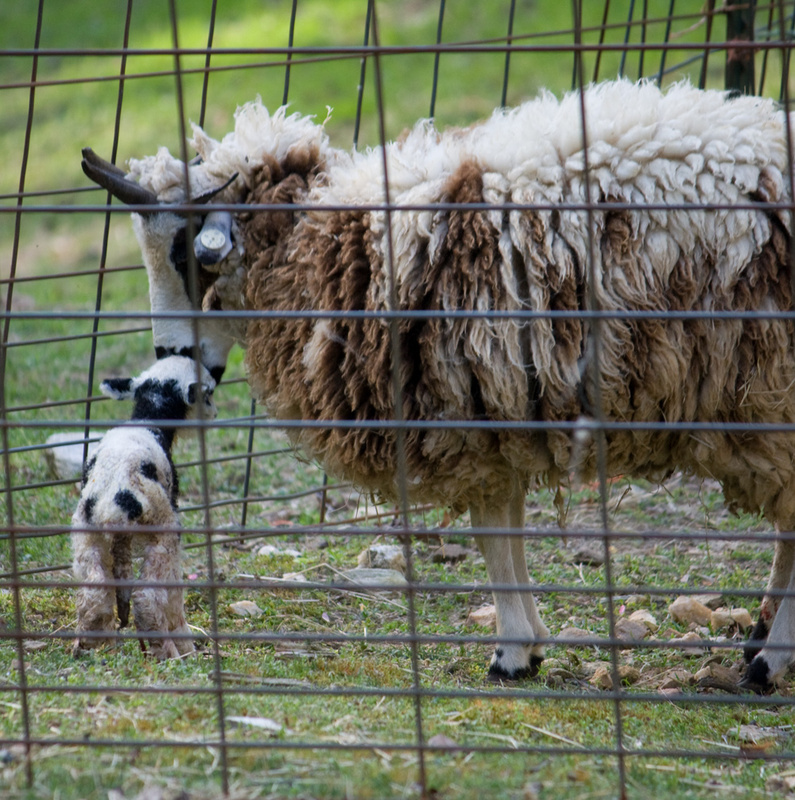 I don’t know why or if it even holds true across all flocks and time, but it seems that first time mothers are especially obsessed with cleaning their lambs. Sometimes it seems the lamb will starve before the mother decides her cleanliness standards are met! But, eventually standards are met and dinner is served. 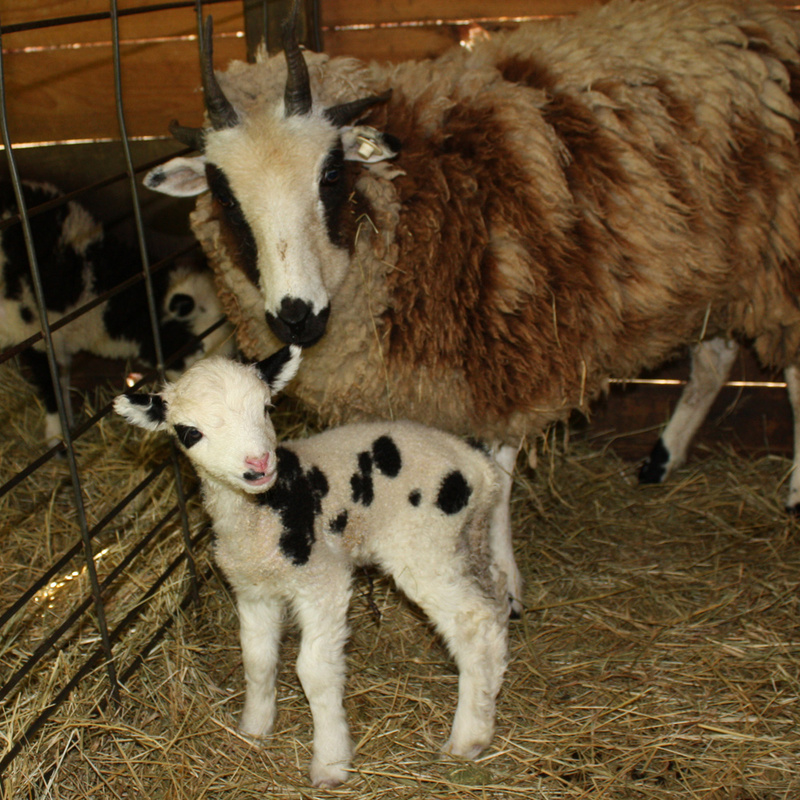 She looks so tiny under her mother compared to..
some of the older lambs. Marabelle and her new daughter, Bonus. This time we really are finished lambing! 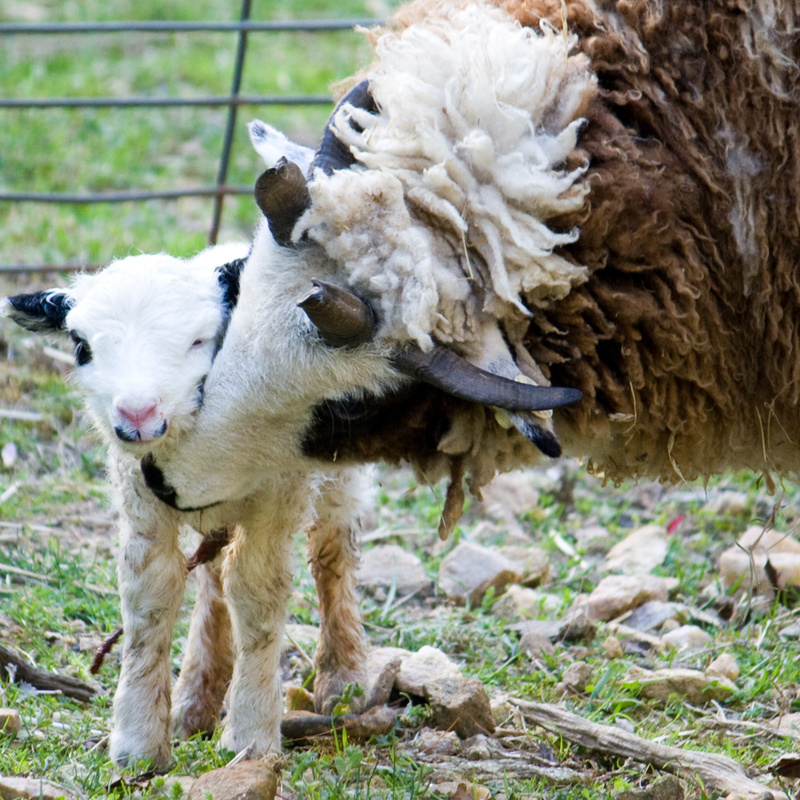 Love the baby lamb pics – and ‘Bonus’ is extremely cute. Would love to spin some Jacob fleece one day. Congrats on (hopefully) finishing out the season well! Thanks for sharing the pics – they are wonderful! OH, yeah! I remember that AND didn’t go in the water. Nice pictures and lovely lambs. I can’t wait until I have a barn full of kids (the four legged kind of course).